Canadian writer Alice Munro wins 2013 Nobel Prize for Literature 2013 for her short stories. As the jury praised her ‘‘finely tuned storytelling, which is characterised by clarity and psychological realism”. Many of Munro’s stories are set in Huron County, Ontario. Her strong regional focus is one of the features of her fiction. Another is the omniscient narrator who serves to make sense of the world. 82 years old Alice Munro has written about 14 short story books and has won Man Booker International and Commonwealth Writers Prize in previous years and many other awards. 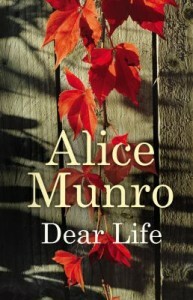 Parramatta City Library has some of Alice Munro‘s titles for loan. This entry was posted in Awards & Prize Lists, Recommended Reading and tagged Alice Munro, Author, Nobel Prize for Literature, Parramatta City Library, reading, Writer by admin. Bookmark the permalink.